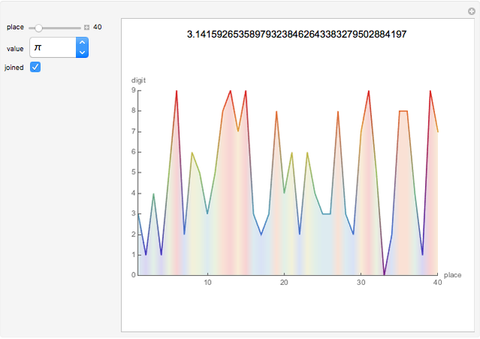 This Demonstration plots the digits of , , , some square roots and logarithms, and 1/7 and 1/17 for comparison. 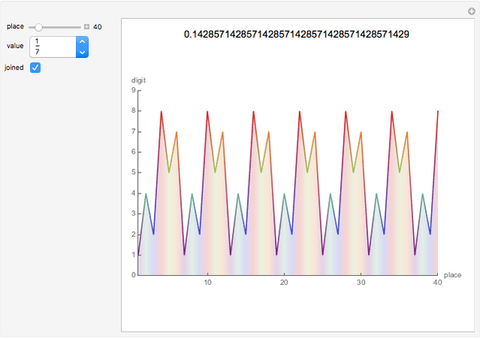 If the number is , the points plotted are , , , …. Nathan Fugleberg "Plotting Digits of Irrational Numbers"